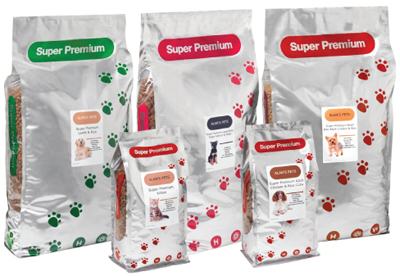 Fergusons Super Premium Adult Salmon and Potato Dog Food is a complete dog food which is ideally suitable for adult dogs with a sensitive digestion. Highly palatable, it is especially good for fussy eaters. Hypoallergenic with no wheat or wheat gluten. Available Bag Sizes: 2.5kg and 12kg.